It's been an interesting couple of weeks for the Arab Spring. of it is foreign? What is the regional dynamic? a part of a Sunni majority rebelling against an oppressive regime. Qaeda was involved in some of the assassination attempts in Syria. General Burgess to amplify or correct, as the case may be. itself against attacks from the Syrian regime-controlled military. unified. There is an internal feud about who is going to lead it. be aware they are there. extending its reach into Syria. and we are watching these very carefully—they appear to be secure. "Absent more effective and sustained activities to disrupt them, some regional affiliates—particularly al-Qa‟ida in the Arabian Peninsula (AQAP) and al-Shabaab in Somalia—probably will grow stronger. The result may be that regional affiliates conducting most of the terrorist attacks and multiple voices will provide inspiration for the global jihadist movement. These regional affiliates will continue to focus on local agendas, but also will pursue international terrorist attacks." Adding to the chord, Leon Panetta, Defense Secretary observed that the AQ spectre made the Syria situation that much more important for America. The spectre of AQI in Syria demonstrates the fluid nature of the allegiances of non-state actors in the region. At the height of the Iraq conflict, Syria (the Assad regime) was criticised for allowing in foreign fighters to the Iraq theatre. Of course, as Thomas Hegghammer has observed (International Security, Winter 2010/2011), few foreign fighters are affiliated to AQ, though of course AQ leaders want us to believe the affiliated numbers are larger. But AQ and Syria were not in conflict - now the US authorities would have us believe AQI is fighting against the Assad regime. So why is the tide turning against Assad? Popular discontent is a powerful potion. Hamas have now publicly disclaimed Assad and sided with the rebels. In the light of continuing human rights abuses, Russia and China may feel increasing pressure, if not to act then at least be passive. 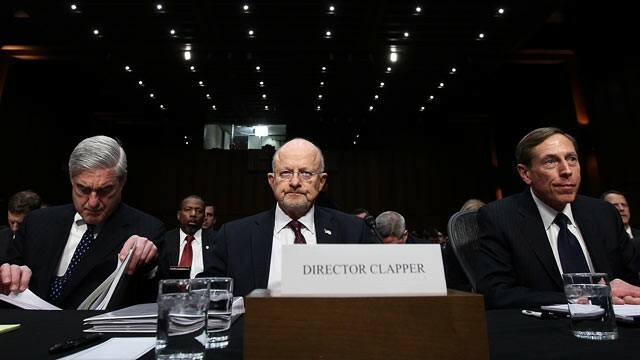 But the US will consider a power vacuum or an unknown quantity assuming power, or Clapper's "fractionated" power landscape as probably less attractive alternatives to the strongman control of Assad. Better the devil you know. Egypt isn't a particularly pleasant experience for Americans currently. Certainly, there are no pro-American sentiments espoused in Homs nor a particular push for democracy - just a rebellion against continual oppression. It's something that would resonate with us all.